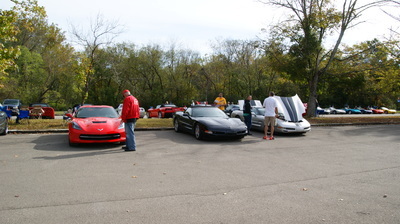 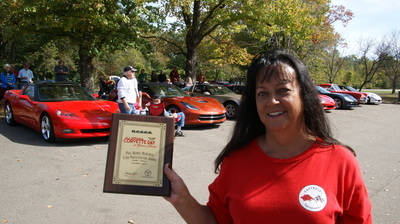 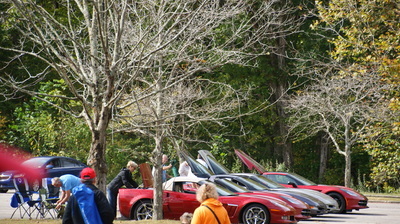 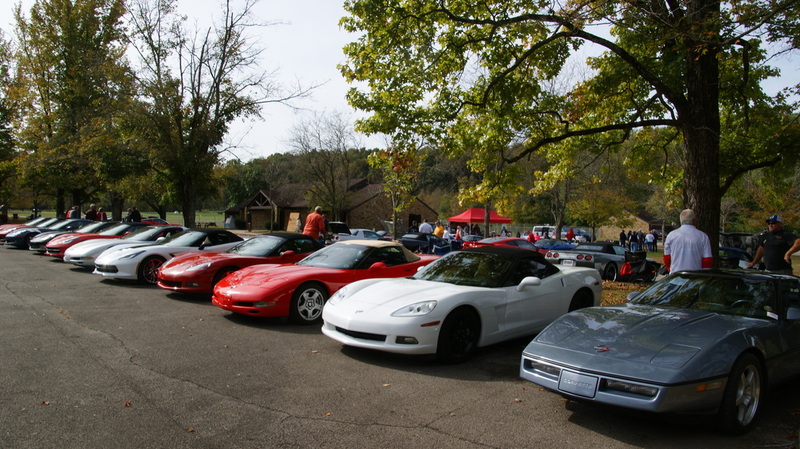 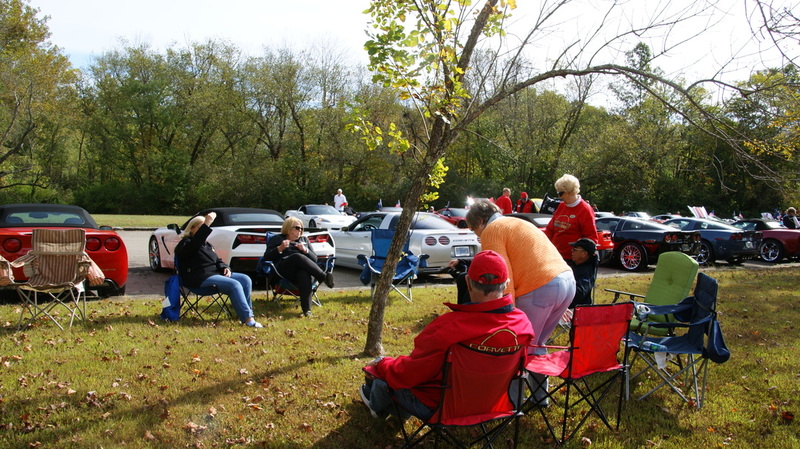 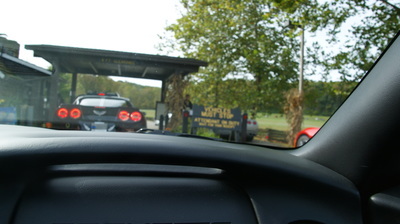 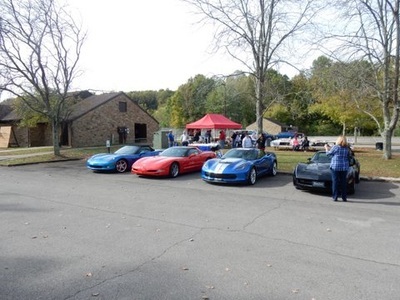 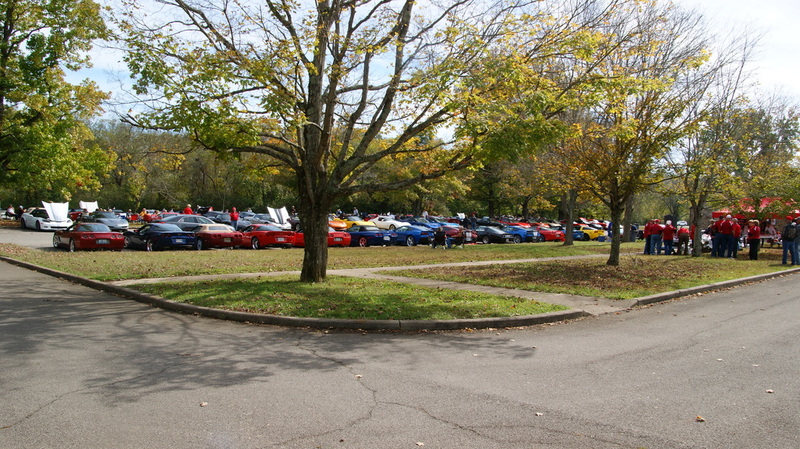 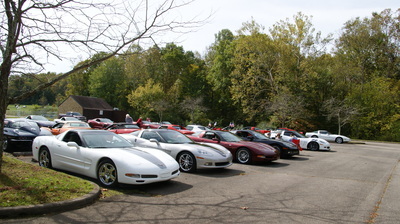 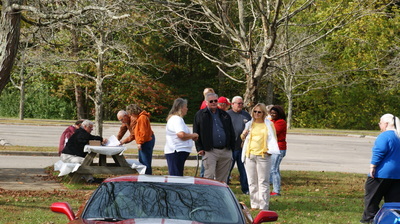 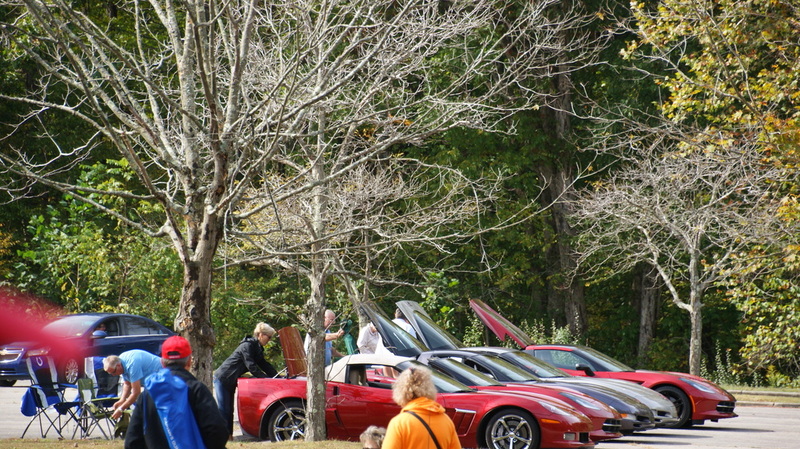 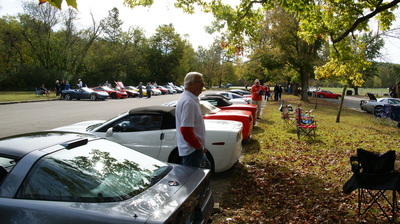 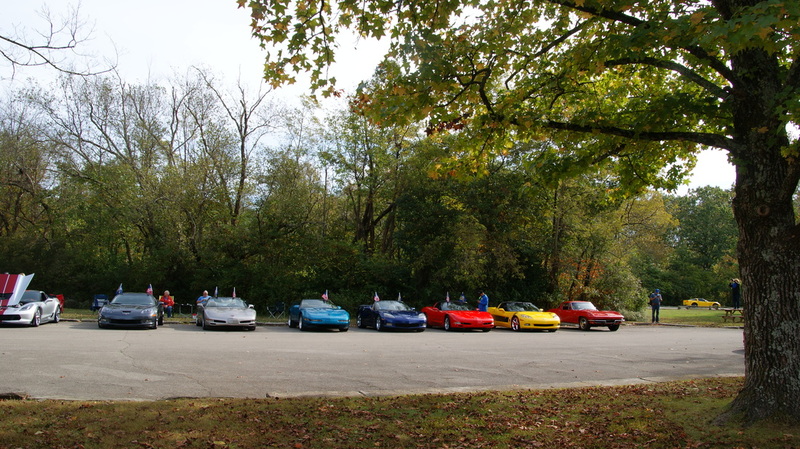 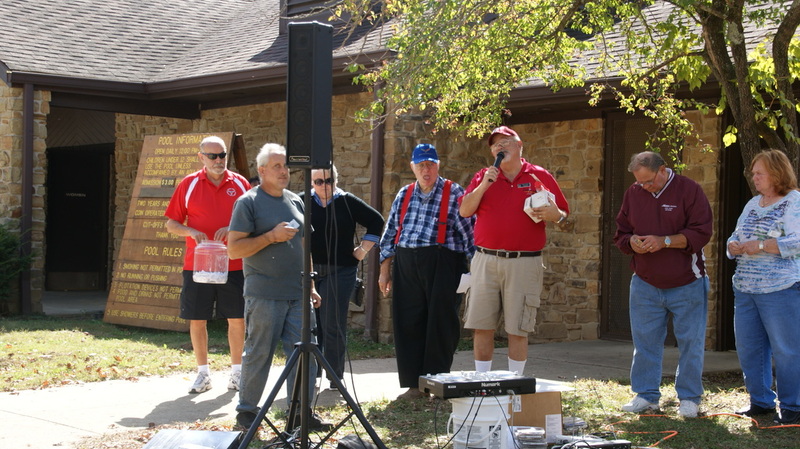 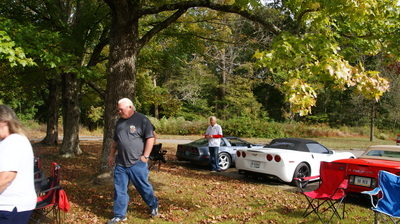 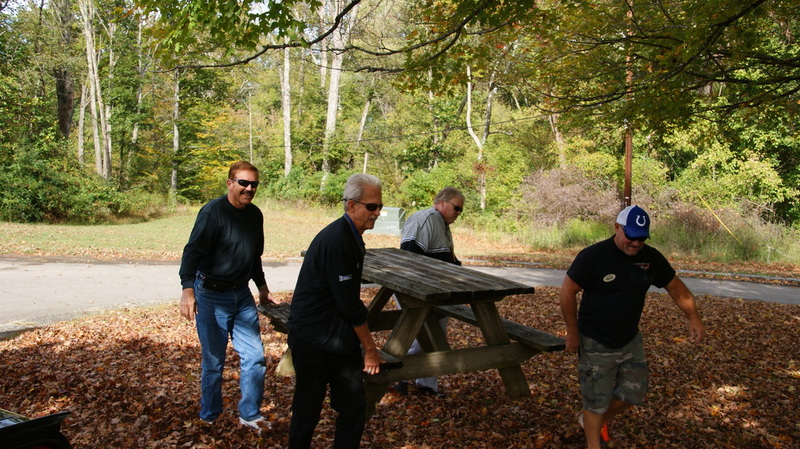 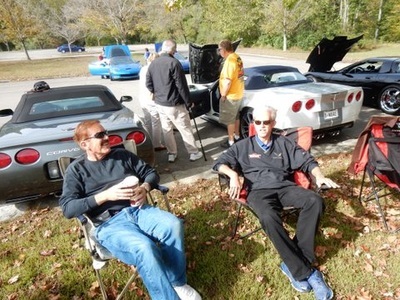 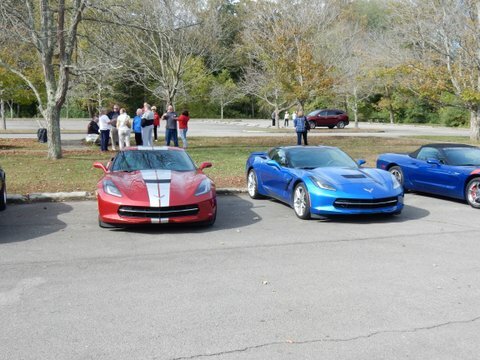 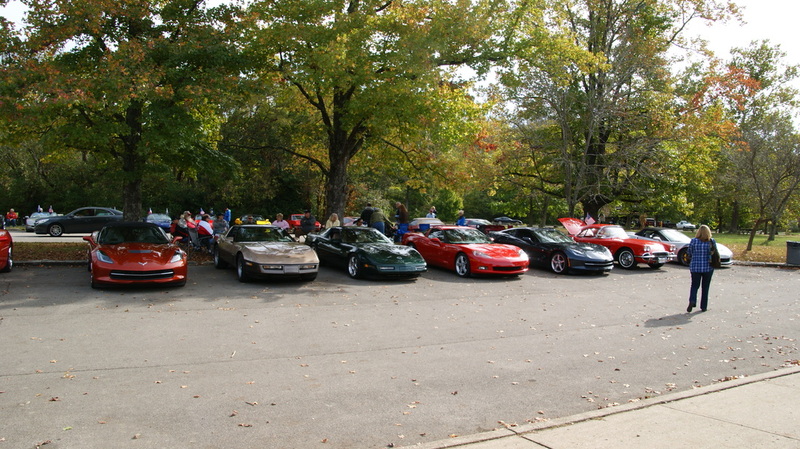 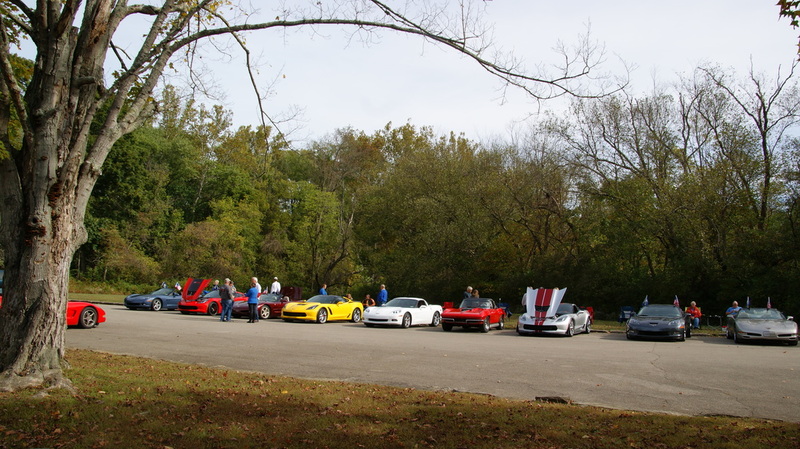 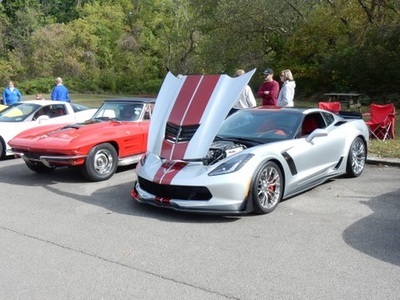 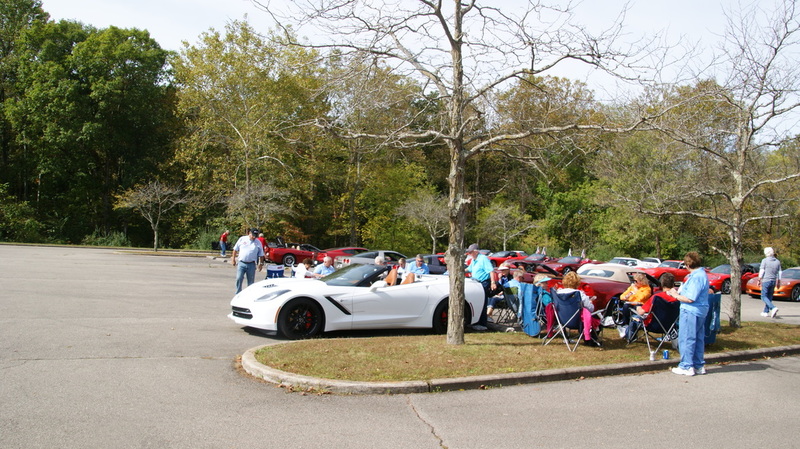 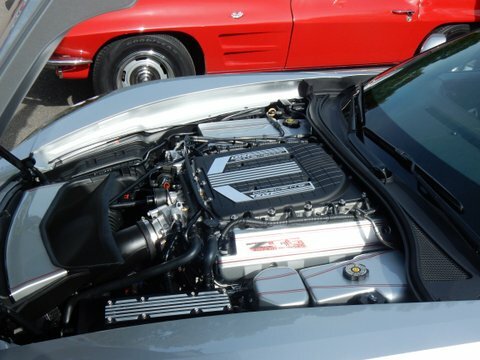 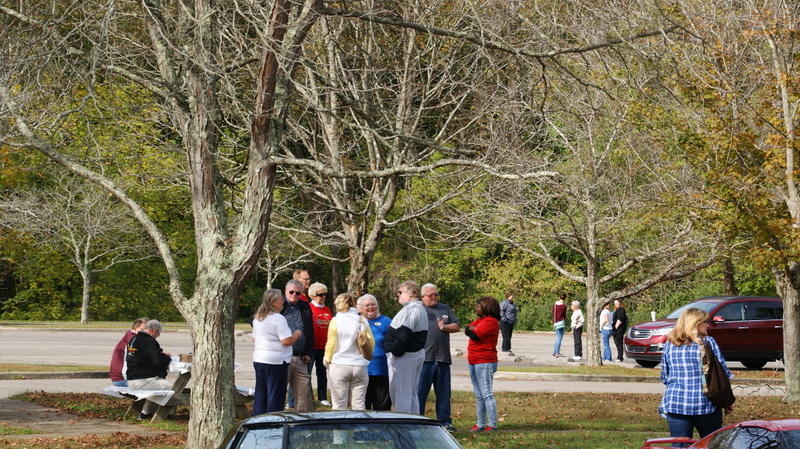 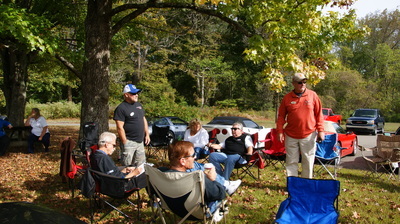 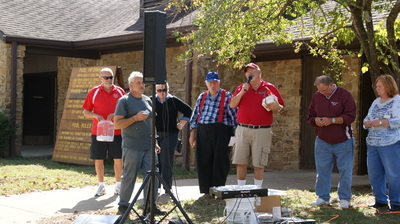 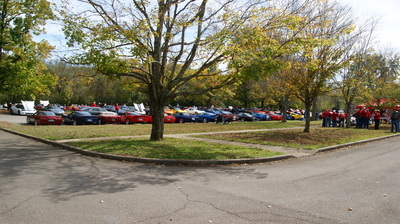 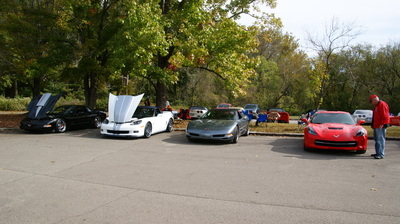 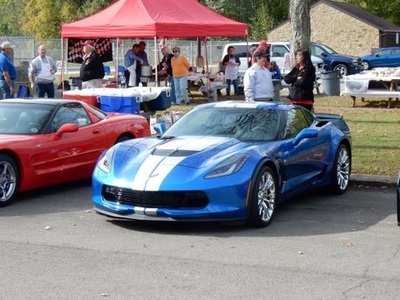 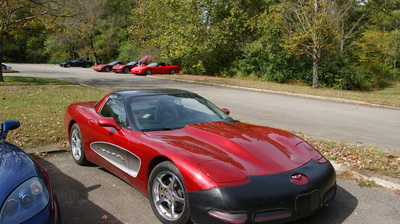 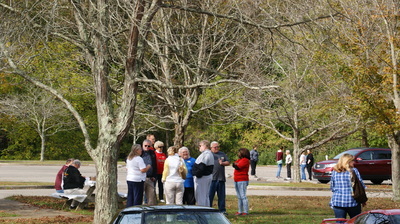 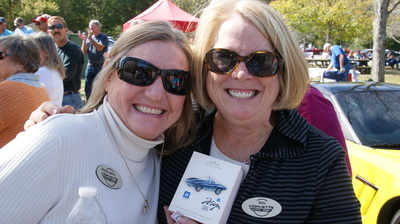 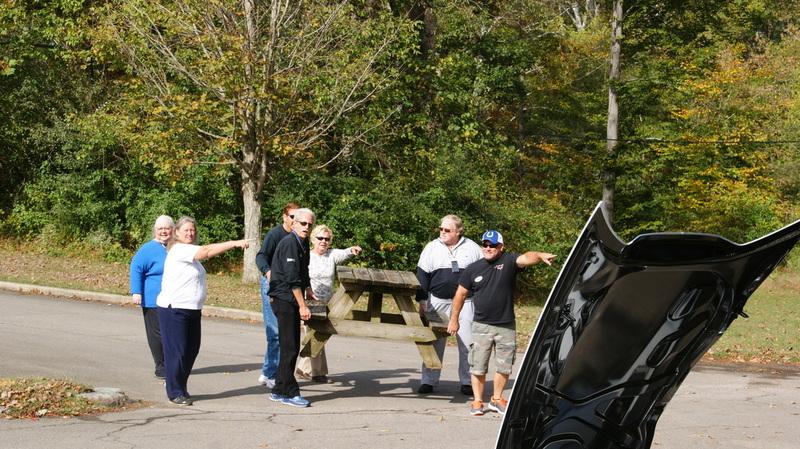 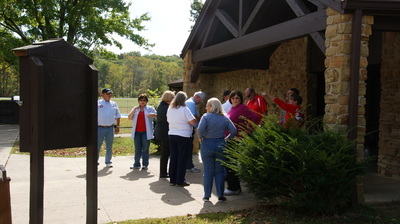 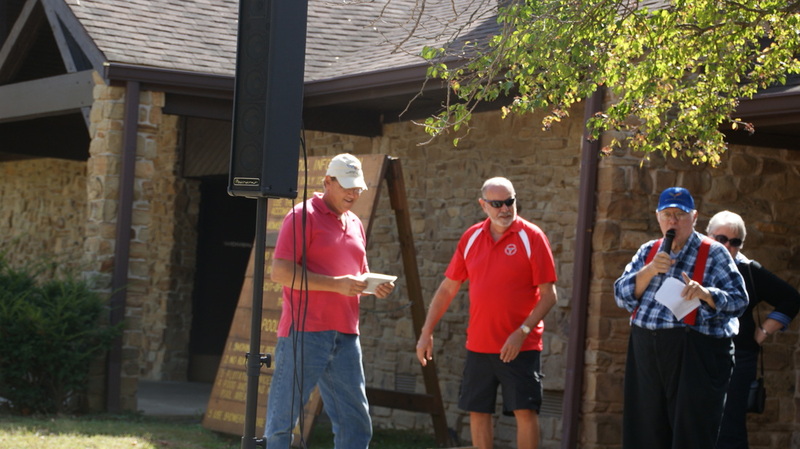 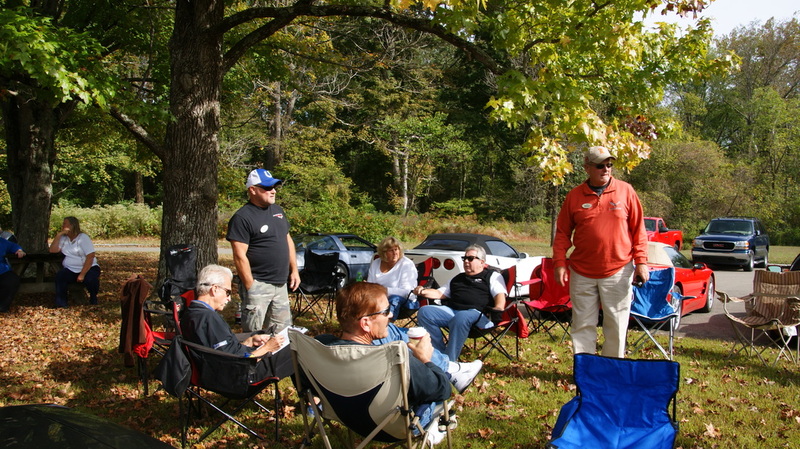 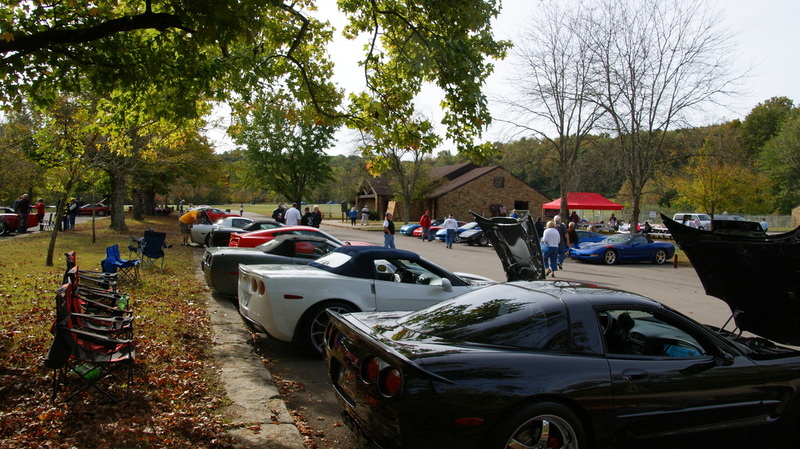 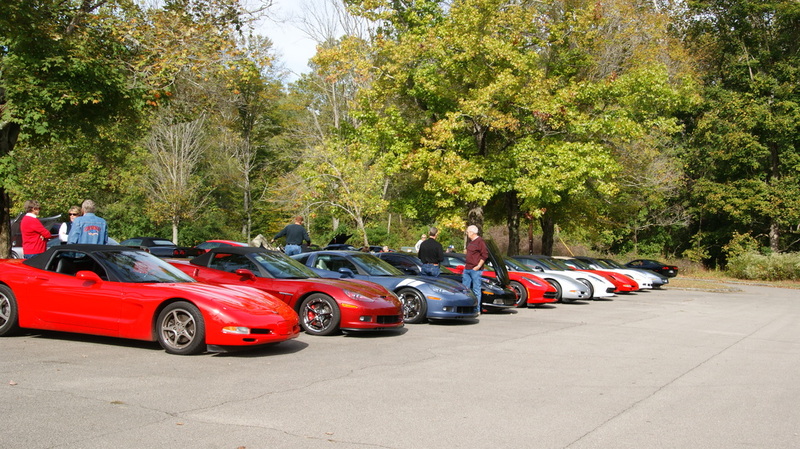 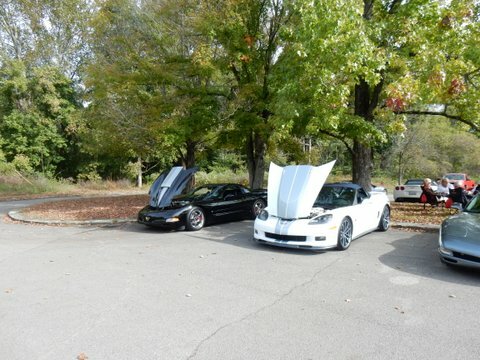 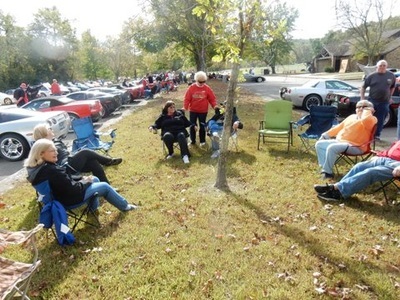 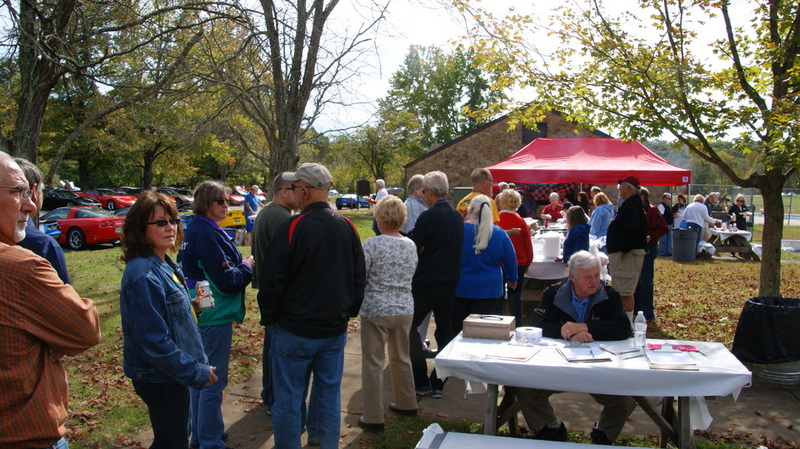 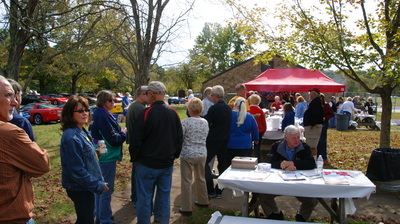 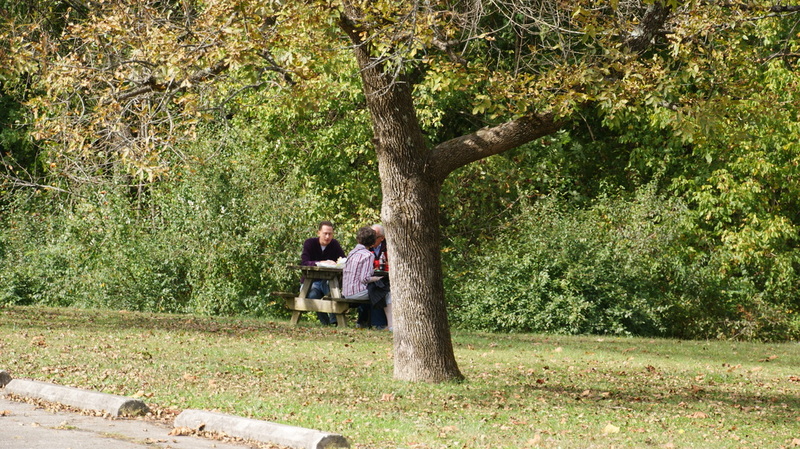 On a beautiful Sunday, October 4, the Indiana Region held it's 45th All Corvette Fun Day at the Brown County State Park. 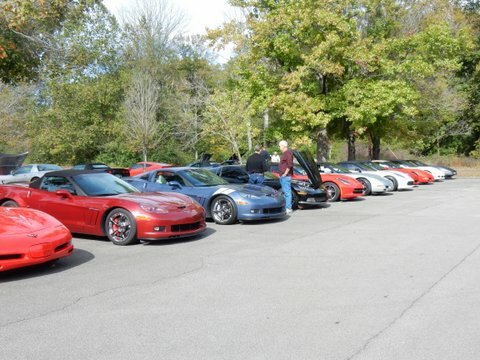 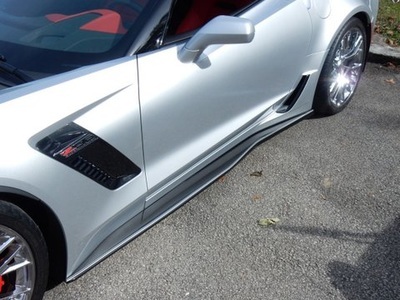 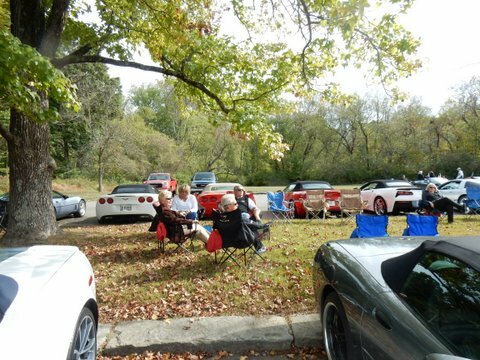 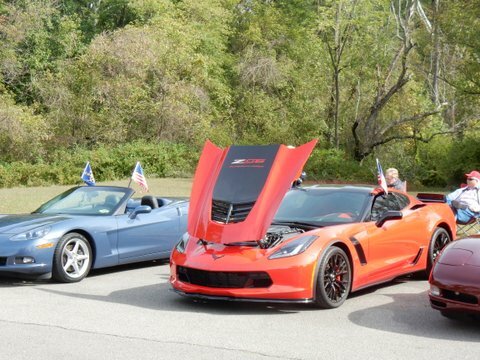 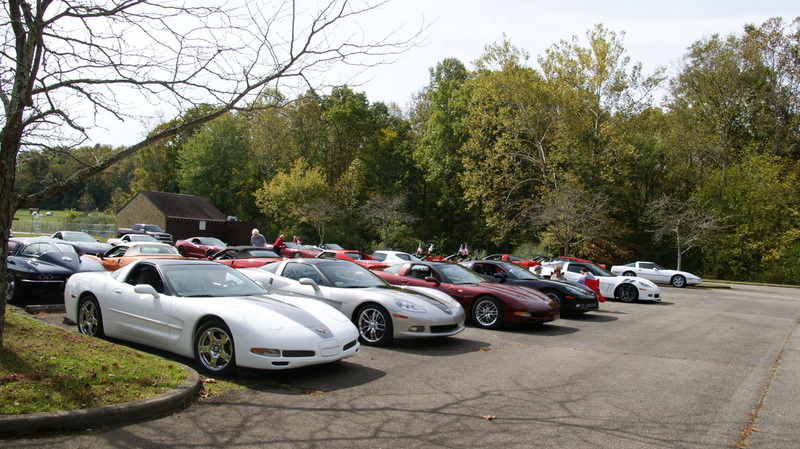 A total of 105 Corvettes plus 10 metal cars with their drivers and passengers paid the $7 to enter the park and enjoy the free to NCCC members BBQ & Hot Dog lunch prepared by the Original Circle City and the Indiana Corvette Clubs. 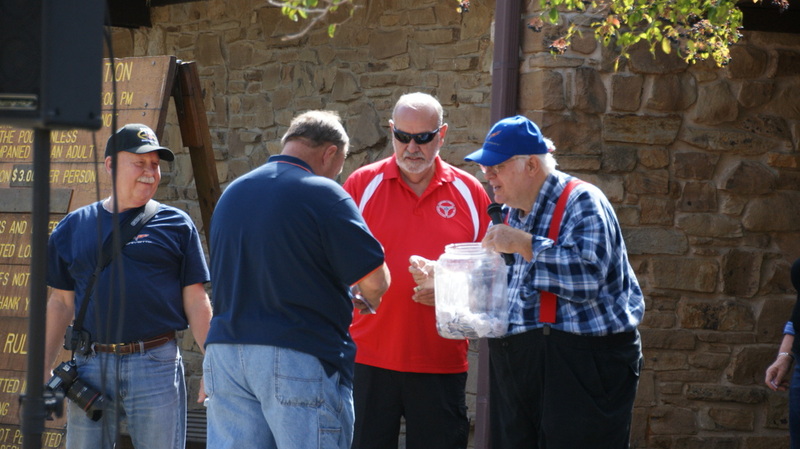 To start the day the clubs held a poker rally that started in Edinburgh Outlet Mall where 20 competitors joined in to draw a cards and be led to the park to finish their trip . 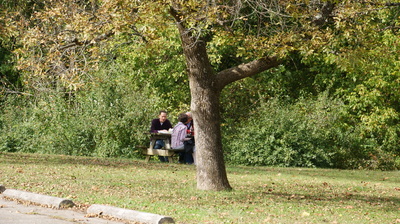 Once there they joined the rest of the group to have a good lunch, with enough for everyone to have seconds if they wanted to. 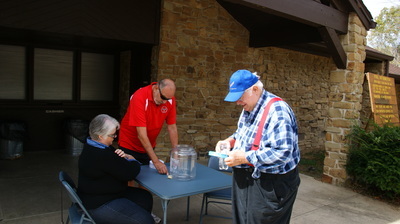 The two host clubs also held a 50/50 drawing that got $271 each for both the winner and the Indiana Region. 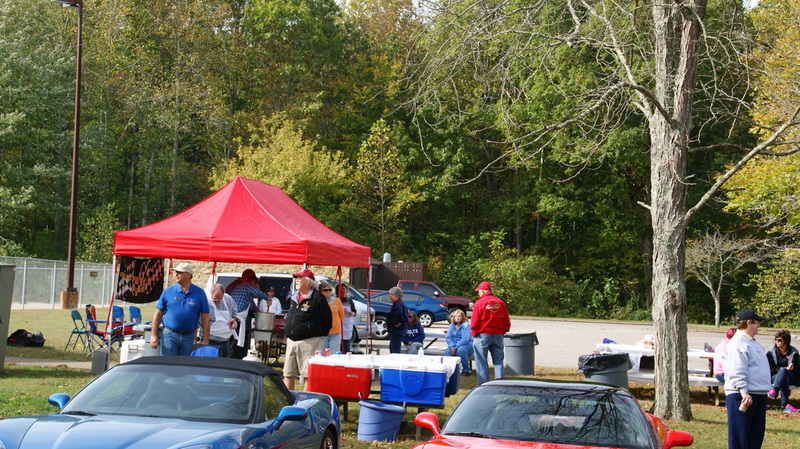 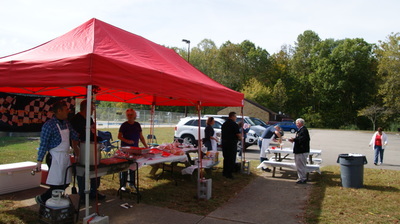 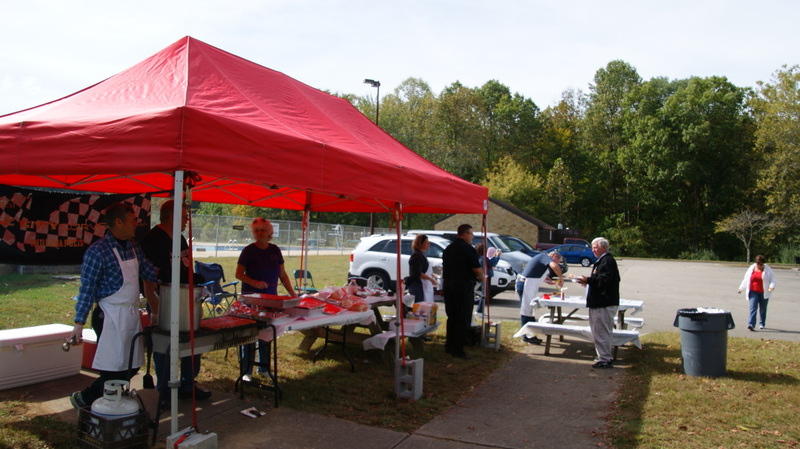 The food was served a bit after noon and the drawings for door prizes, 50/50 and announcing the top 5 rally winners at 2 made for a nice afternoon of Corvette owners visiting with other members from around the Indiana Region.